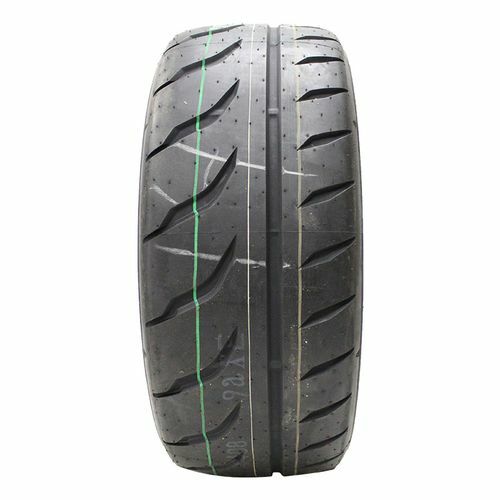 A DOT Competition tire, the high-performance Proxes R888R delivers even faster lap times and better dry handling than its race-winning predecessor, the R888. 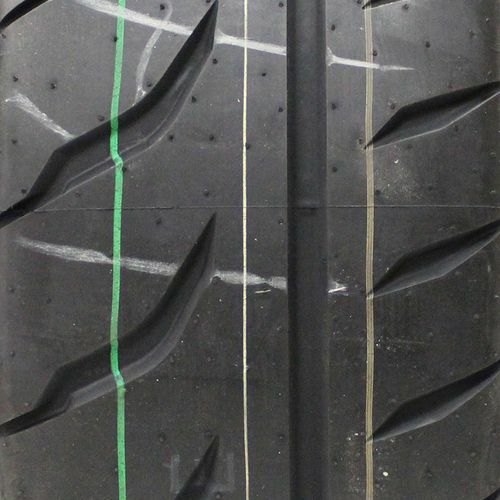 Thanks to a new tread design and improved contact patch that ensure more rubber on the track, racers will appreciate the consistent handling and control. 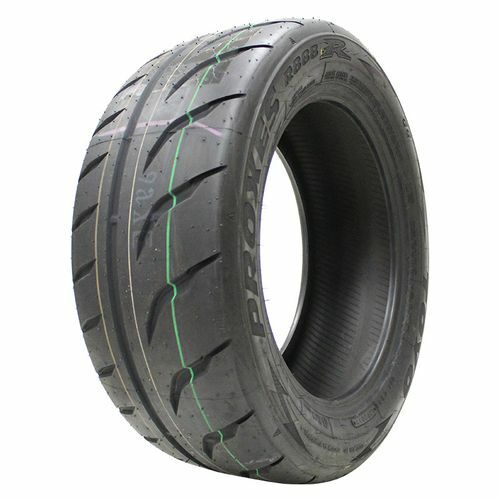 Built with a high grip race compound, the R888R quickly reaches optimal operating temperature for improved grip, excellent cornering, and reliable performance. Large tread blocks maximize lateral grip and a water evacuation channel improves wet traction. 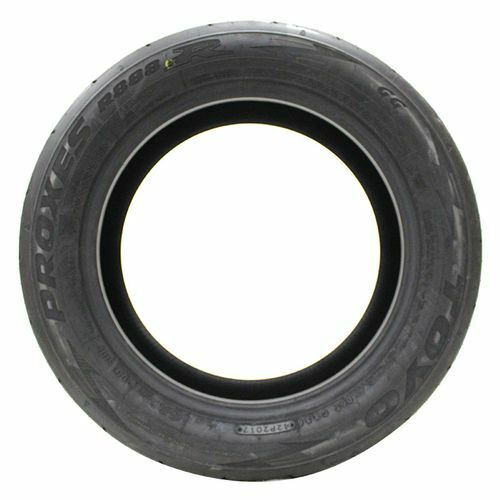 Purchase includes the Toyo Proxes R888R tire only. The wheel rim shown in the picture is not included. Picture provided is a stock picture from the manufacturer and may or may not reflect the actual product being ordered. All Toyo Proxes R888R tires are continuously developing with manufactured improvements. With that said, Simple Tire and the manufacturers have the right to change these tire specifications at any time without notice or obligation. Please Note: Specifications of the Toyo Proxes R888R tires shown above are listed to be as accurate as possible based on the information provided to us by Toyo tires. Get these tires if you want grip. They are not good in wet or in cold and are very noisy. On an abused '88 Porsche 911 I got 8,000 miles out of the rears without separation or showing cords. They were however, way past needing replacement and were very slippery at this point. We took these on a 5200 mile road trip cross country to California. We had a couple white-knuckled run-ins with light snow which was terrifying. In the canyons of California they shined! There were many cases that I was expecting the car to push or lose traction but the tires stuck like glue. I thought I was going to peel the tires off the wheels during some hairpin turns. We had an interstate panic stop situation without ABS while driving past Las Vegas on the way home. The tires felt like they were pulling up the pavement. The car came to a very violent stop. By the time I got home I should have probably replaced them but we drove another 2800 miles on them. I just put another pair on the rear of the car in preparation for another Porsche Rallye. The fronts are still in decent shape after 8,000 miles which is really surprising. These tires are wearing like other 200tdw tires I've had in the past (RE71R and Star Spec II) For what they are, they probably deserve 5 stars for wear but don't expect to get more than 7000 miles of usable wear so I put them at 3 stars. Again, they can be loud. It seems that they are louder with wider widths. We just put 305s on the back of my wfie's 997 Carrera 4S and it is really loud, like mud tires on a truck......but the grip is so worth it! In my opinion this is the tire to get if the car is only driven for fun, not a commuter.